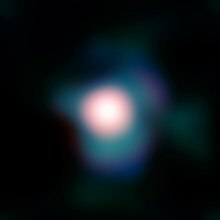 Post here any real photo of a star disks which has been resolved by the "Hubble" or ground-base telescopes. 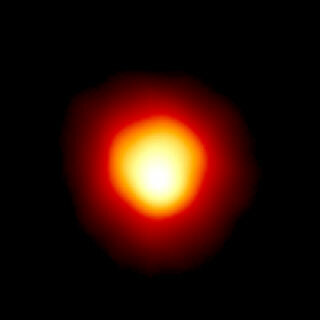 The best images are obtained on the CHARA interferometer in the near-infrared H-band. I really like how several of the pictures vaguely show SpaceEngine-like bulges on them. Indeed. It seems SpaceEngineer might well have nailed how these things actually look. I've actually been wondering for a while where he got the information on how to make them look, because my best attempts to Google it just gave me a bunch of red balls. The Wikipedia article on Betelguese has several sections and diagrams detailing this.